DIY, woodworking and home improvement—we love these guides. Just because your garden is small, doesn't mean that it shouldn't be seen. In fact, quite the contrary! There is more chance of a space feeling expansive when it looks beautiful. This is exactly what our homify article is about today. 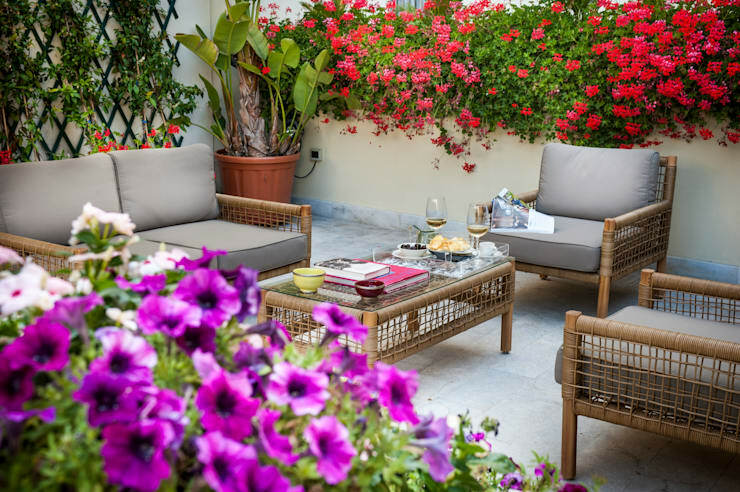 We are going to provide you with some gorgeous examples of beautiful, small patios and terraces by some of the top professionals from around the world, inspiring you to make the most of this space for your own home. These designs are very innovative and creative. You'll want to turn your small garden into a little oasis after reading this article. 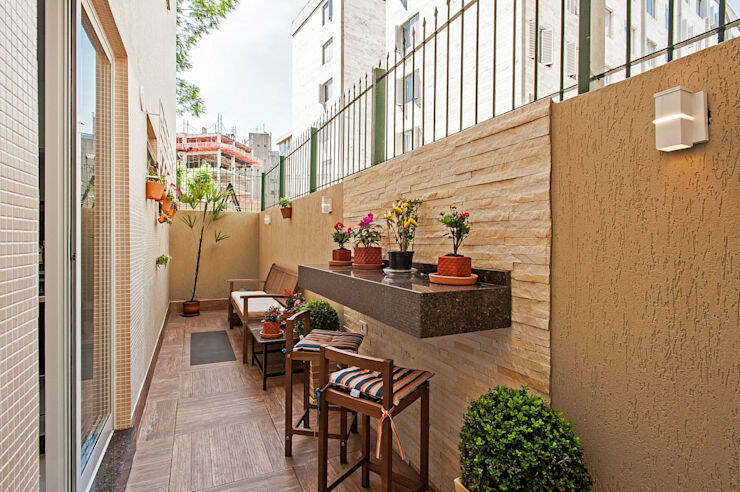 Decorate your small terrace with natural materials such as clay, wood, stone or bamboo. This can be done in the form of furniture or decorative elements. It will create a fresh atmosphere. If you like to play with colour, you can also use the plants and flowers as well as sculptures to add vibrancy to the space. 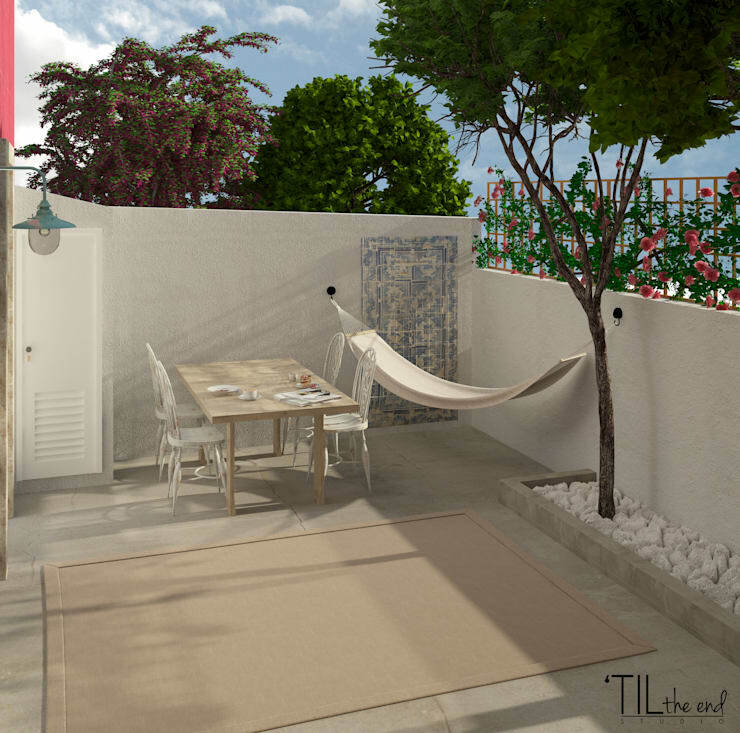 For a small terrace, patio or garden, it doesn't have to take much to turn this space into a beautiful and inspiring haven. As you can see in this design, grass is the main element. It's simple yet sensational! The designers have also added little areas for enjoying the outdoors, such as a gorgeous bench. If you go this route, you'll need to make sure your grass gets plenty of water regularly. It will be worth it! 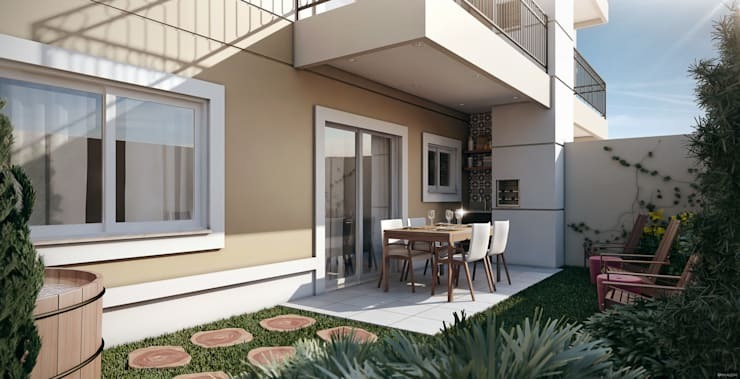 If you want your patio to look fresh, clean and organized then opt for minimalist decor and just add the basic and most functional of items, including a place to eat, a place to rest and some discreet planters. This will make the patio feel large and spacious. Remember that for minimalist decor, neutral colours are a must. 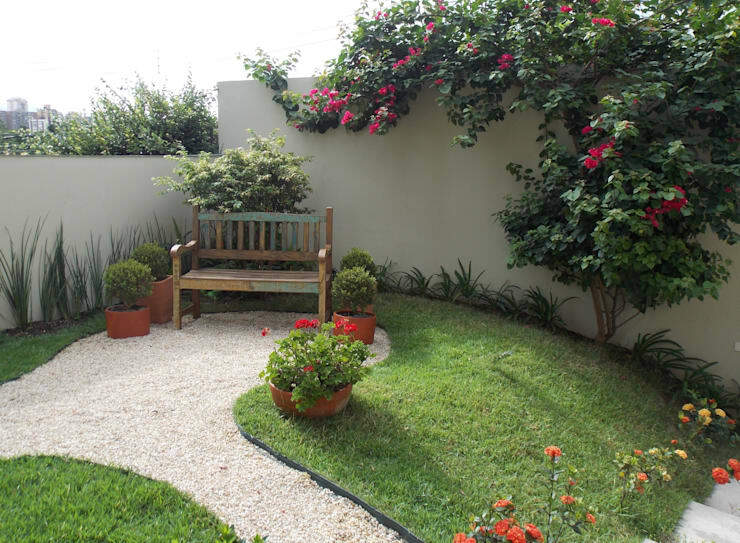 Although your yard is very small, it can still be lush and enchanting. Why not create a tropical corner? 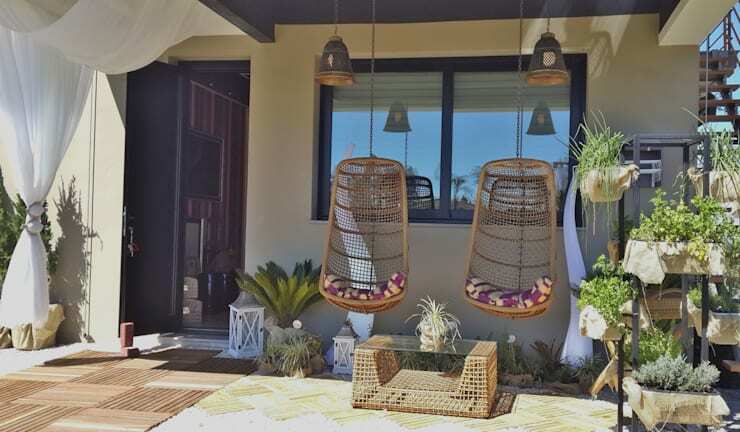 You can achieve this by adding palm trees, bamboo and wood to the space. Just remember that if you choose to create a tropical garden in your small yard, you will need to water it and take care of any insects. 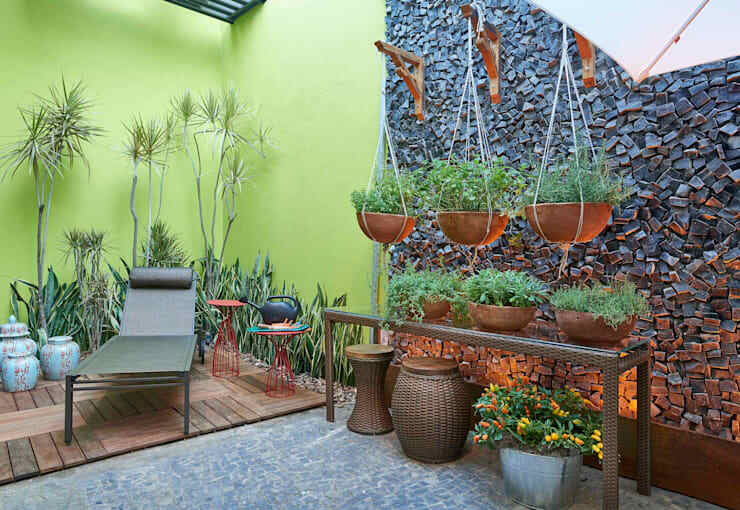 If you like plants and vegetation, why not incorporate them as much as possible? Not only will they be there for your enjoyment and pleasure, but they can form the perimetre fence of your garden. This is a great option for those with prying neighbours! Block their view and enjoy your privacy among nature. Being among nature is very relaxing and refreshing. So why not make the absolute most of your garden? A simple yet modern and elegant idea is to put a path of logs through the lawn, allowing you to walk through the flowers and the trees. You don't even need to chop up a tree for these log pieces, opt for artificial ones. They'll look just as real! If you want to use your patio or terrace to enjoy the outdoors, incorporate a country-style touch to the space. Add wicker furniture, wooden decorative elements and comfortable cushions. There is nothing more sad and boring than plain walls that lack colour or texture. 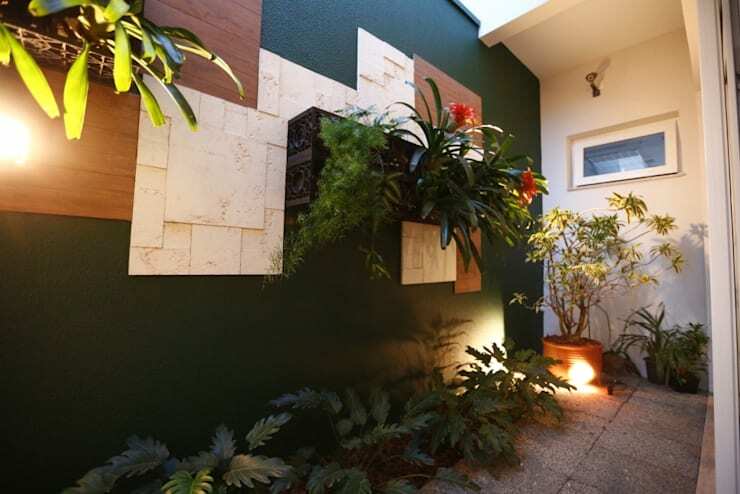 This is why it's a great idea to cover them with your favourite material, preferably a natural material that evokes a sense of the outdoors such as stone. Yet there are all sorts of options and ideas that exist on the market today. 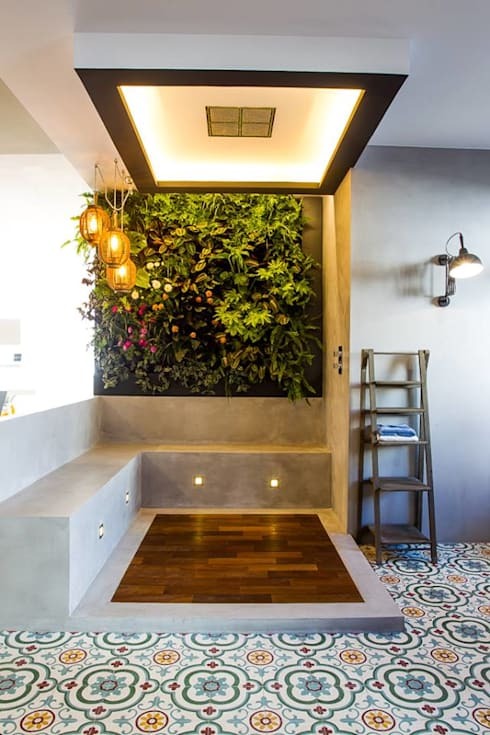 Planters on the wall are a great way to create a modern design while taking up little floor space. Don't you love the impact it makes on the wall? 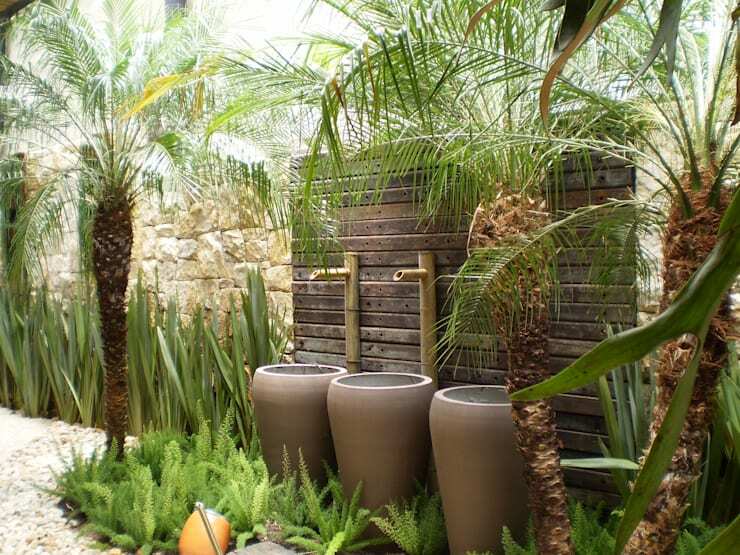 The planters can be made from wood or cement, bringing an earthy touch to the area. The key here is to use your creativity and make the most of space. Finally, we come across a very important point: lighting! Although this patio is indoors, it is also ideal for outdoor use, especially because of the concrete seats. Do you notice how lighting has been integrated into the design, illuminating the details of the space? Have a look at these outdoor lighting ideas for modern houses for inspiration.